The emergence of economical small unmanned aircraft systems (sUASs) that work without a human pilot, generally known as drones, has resulted in adversarial groups threatening deployed U.S. forces, especially infantry units. Although the U.S. Army and the U.S. Department of Defense (DOD) are preparing tactics and systems to counter single sUASs, a new report by the National Academies of Sciences, Engineering, and Medicine highlights the necessity for developing countermeasures against multiple sUASs — organized in swarms, coordinated groups, and collaborative groups — which could be used a lot sooner than the Army expects. The committee that undertook the study developed a classified report that specifies its findings and proposals, together with an unclassified public version that covers main background issues presented in this news release. Hobby drones are easy to buy, their performance is improving dramatically, and their cost has dropped significantly; now with millions of them around the world, they pose a growing threat to the U.S. warfighting forces if used for nefarious intents. The threats could be consumer items like hobby drones, modified consumer items such as could be assembled with online components, and customized ones, like built-from-scratch aircraft. 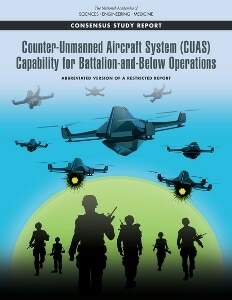 The committee that put together the report was asked by the U.S. Army to evaluate the threat from sUASs, particularly when massed and operating collaboratively, evaluate related human performance issues, analyze the present capabilities of military units to counter them, and identify technologies suitable for short- and long-term science and technology investments by the Army. Easily available, high-performance, sUASs can be easily adapted to carry deadly weapons, spot targets at long ranges, and conduct electronic warfare attacks. As the capabilities of hobby drones progress at a fast pace, the increased threat from swarms, coordinated groups, and collaborative groups of sUASs will pose a considerable challenge to U.S. armed forces, the report says. Modified hobby drones can be used to support conventional and unconventional attacks. For example, they can be fitted with external or embedded explosives designed to explode on contact. In addition, they can be used by adversaries to jam our radio frequency signals and to support their information operations. When these sUASs are combined in groups or swarms, their threat is significantly enhanced. Countering sUASs first necessitates detection and identification, which is highly difficult as they are small, fly at low altitudes, can have very irregular flight paths, and travel at a range of speeds, the report says. Furthermore, a sUAS can also make the most of the surrounding environment, for example, by blending in with a flock of birds or hiding among trees. Even after threats are identified, countering sUASs can be tough, the report says. The Army and DOD have invested considerably in technologies in response to these threats, mostly concentrating on detecting radio frequency transmissions of the sUASs or their operators. However, the report emphasizes that today’s consumer and tailored sUASs progressively can work without radio frequency command-and-control links by using automated target recognition and tracking, obstacle avoidance, and other capabilities supported by software. The research was sponsored by the U.S. Army. The National Academies of Sciences, Engineering, and Medicine are private, nonprofit institutions that offer independent, objective analysis and advice to the nation to solve multifaceted problems and inform public policy decisions concerning science, technology, and medicine. They function under an 1863 congressional charter to the National Academy of Sciences, signed by President Lincoln.